We were back to work this week after Easter but there has still been plenty to smile about! Family dinners – with Nathan home from rehearsals for a few days before he jetted off we hosted a family dinner. I love cooking for everyone so spent all afternoon making cottage pies and fruit crumbles for the twelve of us. 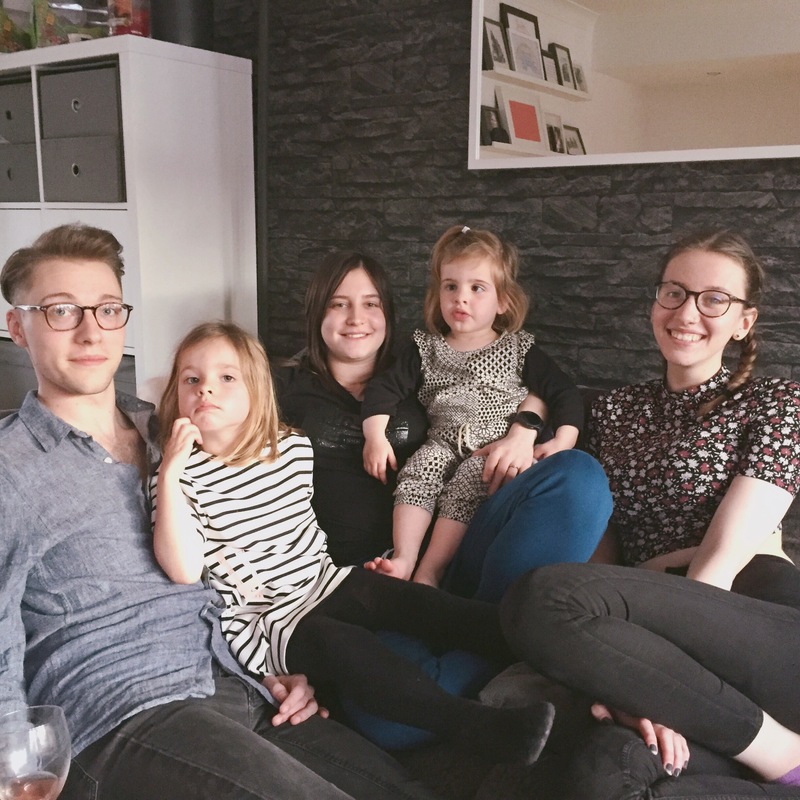 It was so lovely to have all of my six together for the very last time before they become seven! Unfortunately Matty refused to have a photo taken, so there are only five of them in these photos but the usual challenge of getting them all to look at the camera and smile at the same time proved impossible as usual! It&apos;s a bank holiday weekend – this means a lovely 3 days together instead of just two, and for me, because I only work Mondays, Thursdays and Fridays it means I get a nice stretch of days off, even though I&apos;ve only been back for a week! Line of Duty – we have watched all 4 series of this show in the last couple of weeks, and it&apos;s utterly gripping, it&apos;s so well written with surprises at every turn! It&apos;s the last episode of series 4 on Sunday, I actually can&apos;t wait!! I have no idea how it&apos;s going to end, the last episode left me totally unsure of who the good guys and bad guys actually are and who on earth is Balaclava Man?? 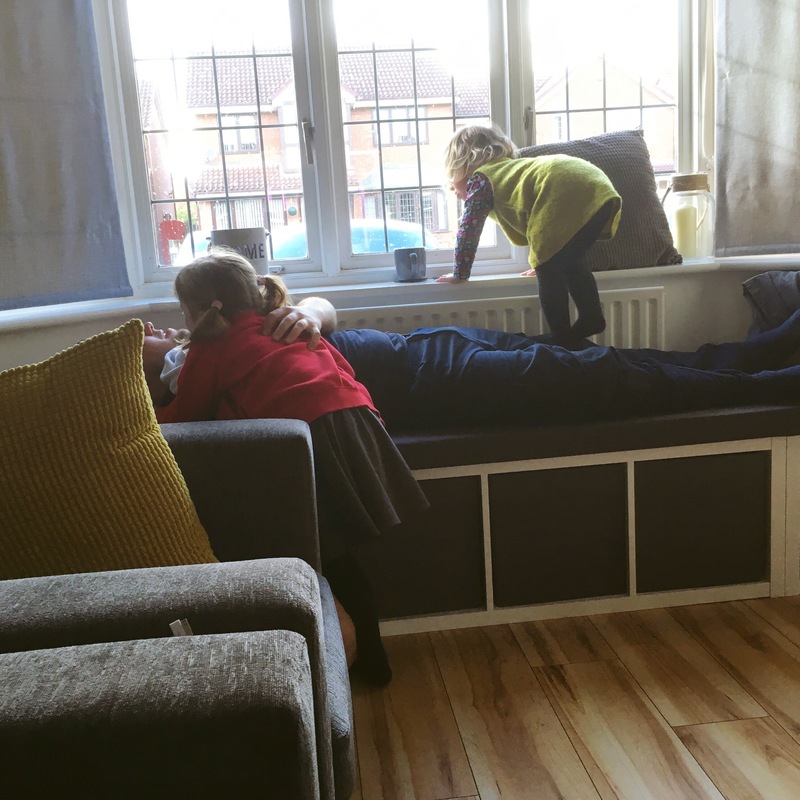 Childcare – since Grandad T had a stroke on Boxing Day our usual childcare arrangements have been slightly different as Grandma and Grandad T used to have the girls on Thursdays for us and were obviously unable to during Grandad T&apos;s illness and (thankfully amazing) recovery. We are very very lucky as fortunately for the first couple of months my parents were able to have Totsy on Thursdays while our childminder Hannah did before and after school care for Tinker, and then Hannah has had them both for the last couple of months. However this week for the first time since Christmas normal service resumed and Grandma and Grandad T were back on duty. The girls were very excited and had such a lovely time – in fact the next morning Totsy kept asking if she was going to Grandma&apos;s house and she cried when we told her she wasn&apos;t, bless her! Mr T – he definitely deserves a shout out for driving Nathan to his hotel near Stansted airport on Monday evening ready for his early flight on Tuesday morning. Even though he had been at work all day he still made the six hour round trip without even complaining once!! Me and all of my kids are just so lucky to have him. 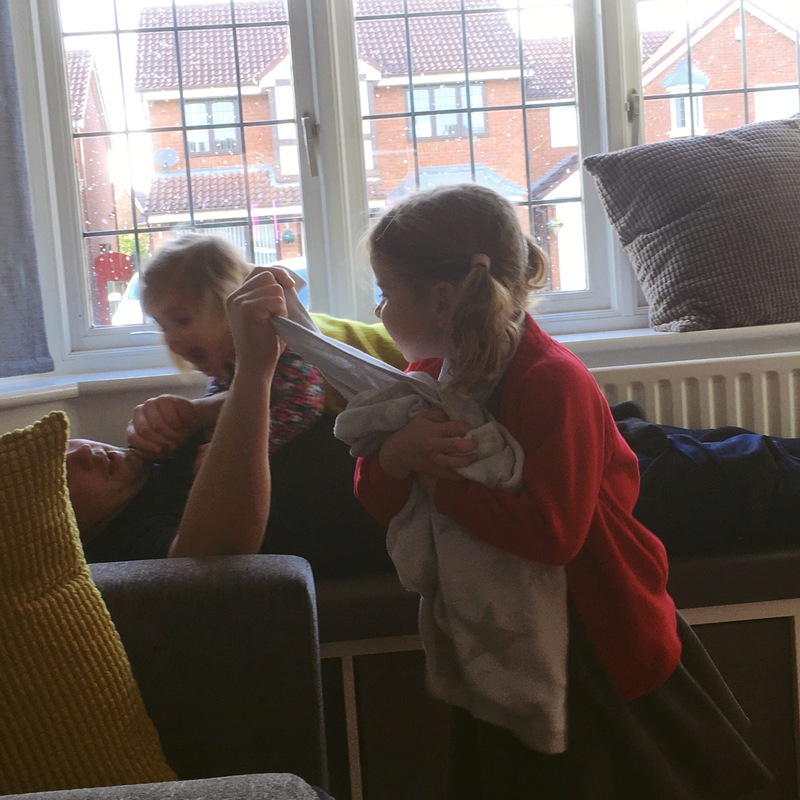 Uncle T – the girls adore their uncle, Mr T&apos;s brother and fortunately the feeling is mutual. He wasn&apos;t able to make it to Sunday&apos;s family dinner so came for tea on Tuesday instead to catch up with us all. The girls wasted no time in jumping on him as soon as he arrived!